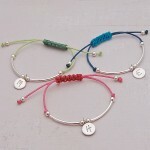 Adorable girls personalised sterling silver friendship bracelet. These dainty colourful mix and match personalised sterling silver friendship bracelets highlight this seasons bold and bright colour trends beautifully and allow you to fully customise your bracelet. 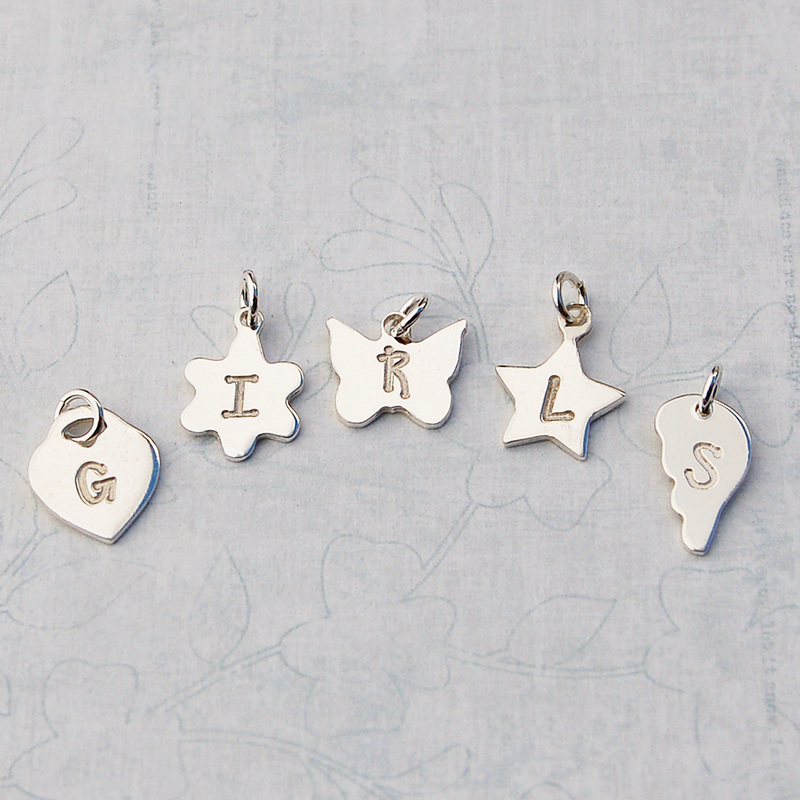 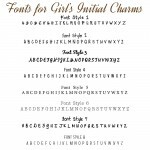 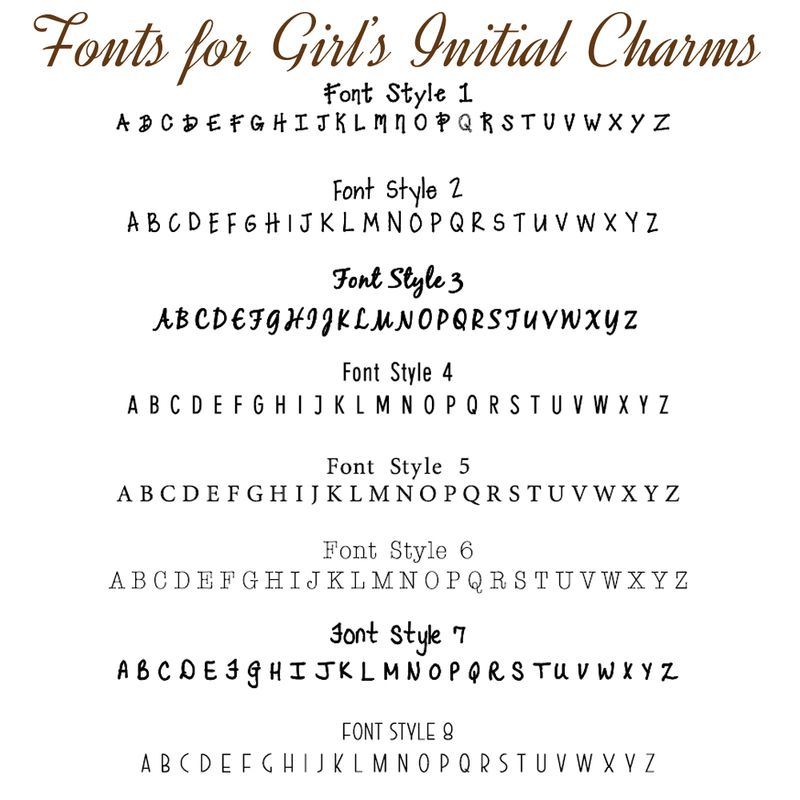 Choose your own colours for the main cord and the sliding knotted fastener and then finish the bracelet off with a personalised initial on a silver disc in a lovely girls handwriting font with accent dots at the ends of the lines. Go for bold contrasting colour combinations, more subtle toning colours or you can even have both cord colours the same – the choice is yours! 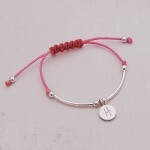 This bracelet is also available with silver charms and we also have a co-ordinating personalised necklace. 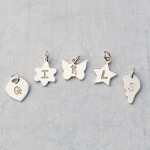 The etched disc and beads are sterling silver strung on a silky cord. The personalised sterling silver disc measures 10mm in diameter and the silver tube beads measure 2mm in diameter and are 25mm long and curve beautifully around the wrist. 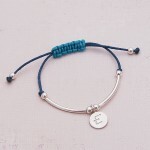 The adjustable knotted fastener means this bracelet will fit most wrist sizes. 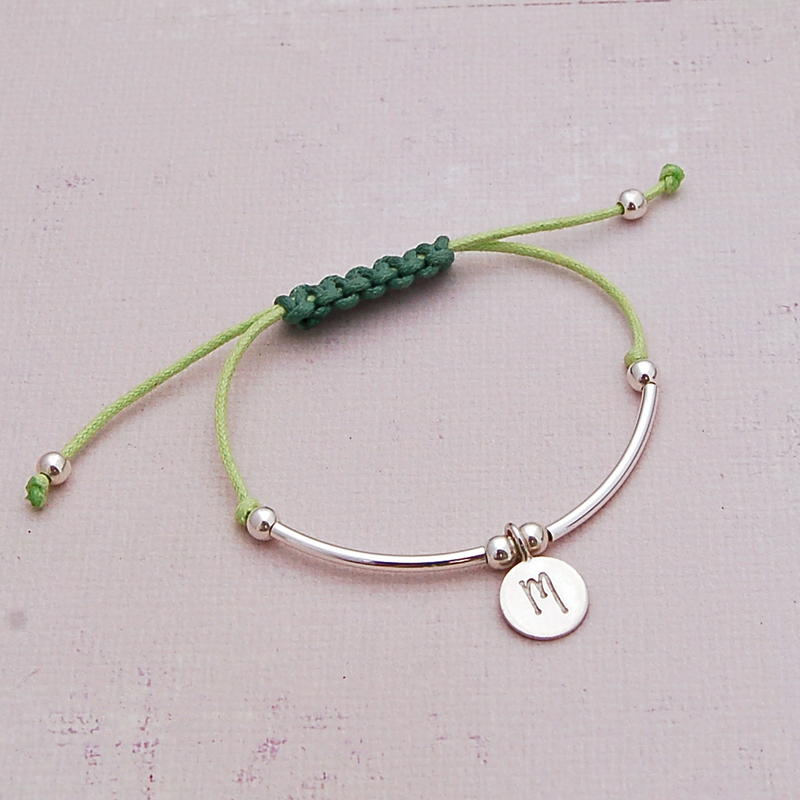 This bracelet is not suitable for children under 3 years old. 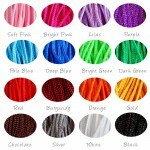 The cord colours are as per the chart rather than the product images.